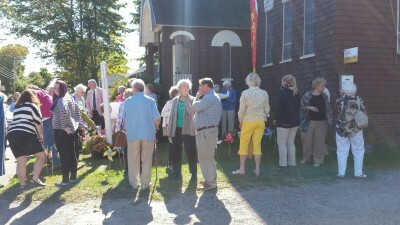 We are Union Congregational Church (UCC), at York Beach, Maine. Sunday we had peace cranes and pinwheels for peace. Also, we dedicated our Peace Pole that we have had for a few years. Our minister is new and was all for it. I’ve had our tiny congregation writing prayers for peace on papers for weeks. My daughter folded 50 cranes and I made 50 pinwheels. 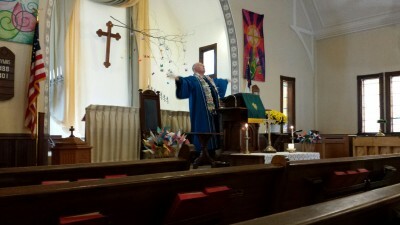 Our service was all focused on peace. When I went to leave the church, two people on bicycles had stopped and one was laying on the ground with the pinwheels while the other took her picture.